Born in Uganda, Kumar Vyas studied in India before training as an industrial designer at the Central School of Art and Design (now Central Saint Martins College of Design) in London. Following his studies, Vyas remained in the capital and began work as a designer for Douglas Scott Associates, a position he held for a further five years. Having received an invitation from the National Institute of Design (NID) to set up the Faculty of Industrial Design at their campus in Ahmedabad, Vyas returned to India and began training the first cadre of Indian industrial designers and design educators. The pioneering work Kumar Vyas undertook at the NID helped spearhead a new take on the ‘Bauhaus/Ulm’ approach to design, that over time has made inroads into Indian manufacturing and production ranging from traditional based craftsmanship through to large scale projects for the space industry. This method has become such an intrinsic part of the NID that the efforts of Kumar Vyas and his colleagues are often taken for granted, having worked in the face of immense odds, in an environment hostile to change and loathe to surrender traditional, largely colonial, educational methods. In the 30 years that Kumar Vyas worked at the NID he constantly pushed new ground, introducing and developing materials for design education previously unheard of in India. These became critical to expanding a national design movement that utilized learning materials relevant to the Indian environment, in addition to the flood of resources available from overseas. Through his writing on design, Vyas has inspired a generation of Indian designers by opening their eyes to the new possibilities initiated at the NID. His seminal work, an educational kit for school children called Design and Environment, was so popular that it was later broadcast on the Indian national television network. This was a major step towards continental awareness and understanding of the role of design in environmental issues. Those fortunate enough to be taught by Kumar Vyas have since gone on to form the vanguard of design professionals within India, many of them now gaining international recognition. One such former student is Satish Gokhale the recent winner of the ‘Design of the Decade Award’ given by the Industrial Design Society of America, for his ‘Swach’ water filter design for Tata. 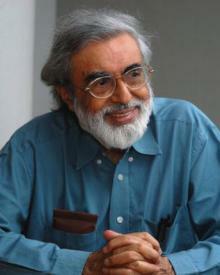 Building upon this legacy of design education, in 2006 Kumar Vyas helped bring about the creation of the Institute of Design at the Maharashtra Institute of Technology, in Pune.